If you have more than 40 SKUs in one box, you can not use 2D barcode. You need to generate box content file and upload to Amazon. Go to your shipment page in Amazon Seller Central. Locate Shipment packing section. Choose “More than one SKU per box” option. 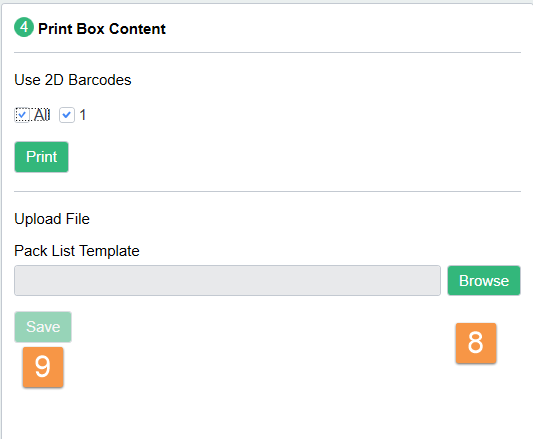 Select “Tab-delimited (.tsv) template and specify the number of boxes in your shipment. Download the template file to your computer. Specify the weight of each box. Click “Click to refresh status” to check the upload status. Check the status to make sure your box content file is uploaded successfully.